Luton Town secured yet another away day triumph on Saturday, winning 2-1 at Bristol Rovers. 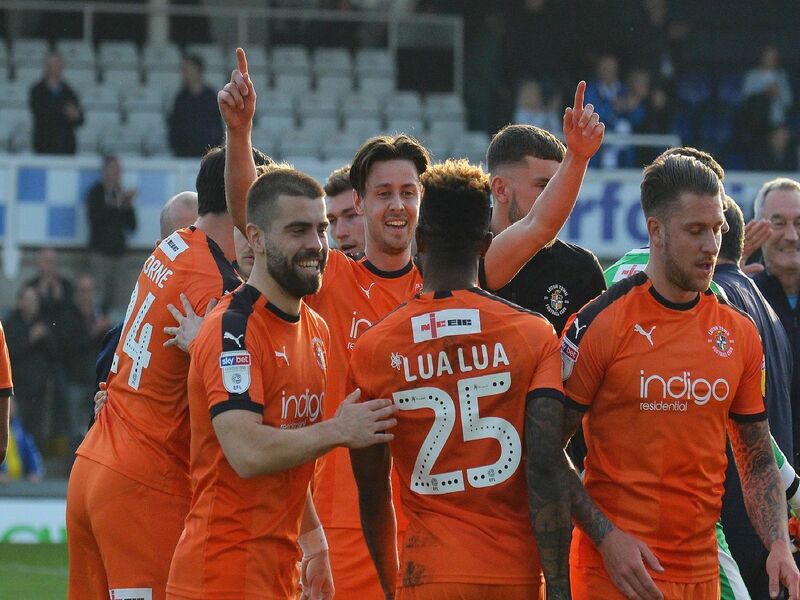 James Collins netted his 21st goal of the season, with Luke Berry also on target as the Hatters won for the first time in their history at the Memorial Stadium. See how Town's players rated on the day here. Fine display from the vocal keeper as he communicated excellently with his defence all game, coming for plenty of crosses. Handling and kicking was spot on as well. No stopping him once more on the right flank as he hared up and down for 90 minutes. Set up Collins yet again and should have had another assist, Lee blazing over. Fine block on Clarke-Harris in the second period too. Had a big hand in the second goal as his shot was touched back by Lee for Berry to score. Got forward plenty in the first period and then tucked in well during the second. Couldnt quite get back in time to prevent Clarke-Harris from pulling one back for Rovers in the first half. No nonsense before and after though, making sure the hosts couldn't ramp up the pressure.